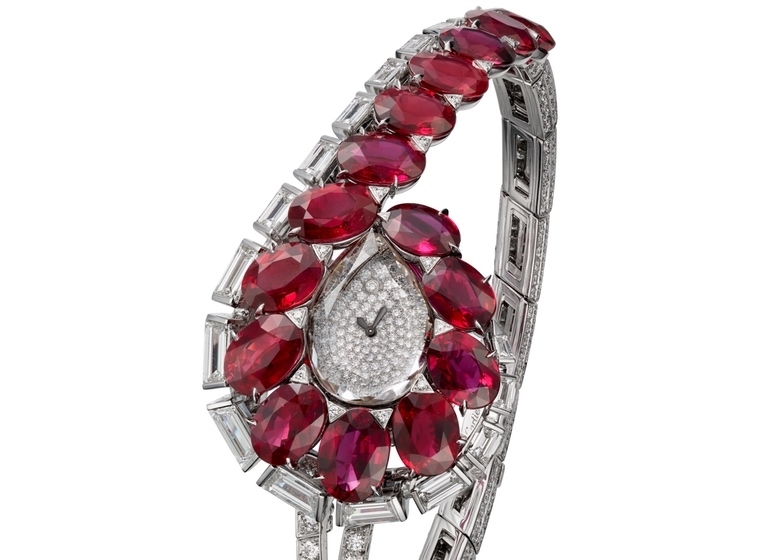 This Cartier evening watch was inspired by a set of 15 rubies. A glittering accessory designed for the dawdling hours of the day, dusk descends yet the fire of the gemstones appears to ignite. The 15 rubies, with a total weight of 24.93 carats, exhibit a remarkably uniform colour: an intense deep red with a diamond-like sparkle partnered by the orangey-pink hue specific to Mozambican rubies. Previous Previous post: WATCHESPEDIA | SUNRISE IN CHINA ?